Stephen A. Bromberg is Counsel to Butzel Long, based in the firm's Bloomfield Hills office, and served as a Director and President of Butzel Long. He graduated from The University of Michigan in 1952, with distinction, and was elected Phi Beta Kappa. He received his J.D. degree from The University of Michigan Law School in 1954. Mr. Bromberg has represented borrowers and institutional lenders, purchasers and sellers, non-profit entities (including the Detroit Symphony Orchestra) and contractors and owners in all kinds of office, commercial shopping center, apartment and subdivisions matters, and major construction and zoning matters and workouts, reorganizations and foreclosures, in years of specialization in real estate transactions and litigation. He has been involved with numerous high-profile development projects. Mr. Bromberg has been a lecturer at the Institute of Continuing Legal Education seminars for many years on subject matters relating to the current State of Michigan real property law, land contracts, zoning and finance. He has written articles which have appeared in legal and other professional journals and industry publications concerning business, real property and zoning matters, including co-authoring the 1984 Michigan Survey of Real Property Law. Mr. Bromberg served in 2002 and 2003 as President of the American College of Mortgage Attorneys (ACMA), an organization comprised of carefully vetted attorneys in all 50 states. In addition to the State Bar of Michigan, he is a member of the Detroit, Oakland County and American Bar Associations, American Judicature Society, and the American College of Real Estate Lawyers. 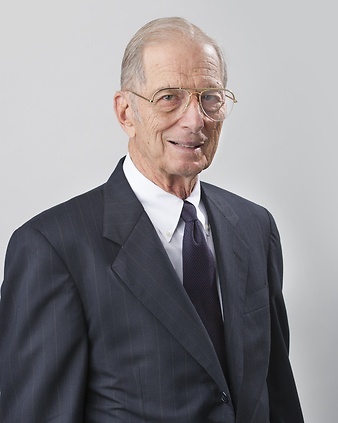 He has served as Chairman of the Real Property Law Section of the State Bar of Michigan, as well as Chairman-Elect, Vice Chairman, member of its Council and Chairman of its Committee on Land Use and Land Sales.For well over two decades, Mr. Bromberg has been named in the Best Lawyers of America. In Chambers USA 2004, he is described as " 'one of the deans of the industry,' who has 'experience second to none,' according to interviewees, particularly in the development field," while in the 2005 edition he is described as "the model of a practitioner" who "commands the highest respect and top accolades within the local real estate community for his experience and effective handling of complex cases." University of Michigan Law School Law School 1954, J.D. University of Michigan Undergraduate 1952, B.A.